In July and August of 2015, the City of Toronto hosted the Pan American/Para-Pan American Games. In July, there was also an economic and climate forum with world leaders in town for the games. Mining companies, politicians and corporations were all involved in the games and the economic and climate summits organized in tandem with them. 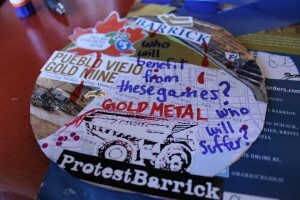 Organizers from the Mining Injustice Solidarity Network worked to highlight the unjust context in which these events took place. Click here for the call-out for ‘Spoil Sports & Smear Leaders’, the guerrilla theatre project we ran throughout the games. Click here for more information about how this action went. Click here for more information about the world cafes that we organized in preparation for the games. 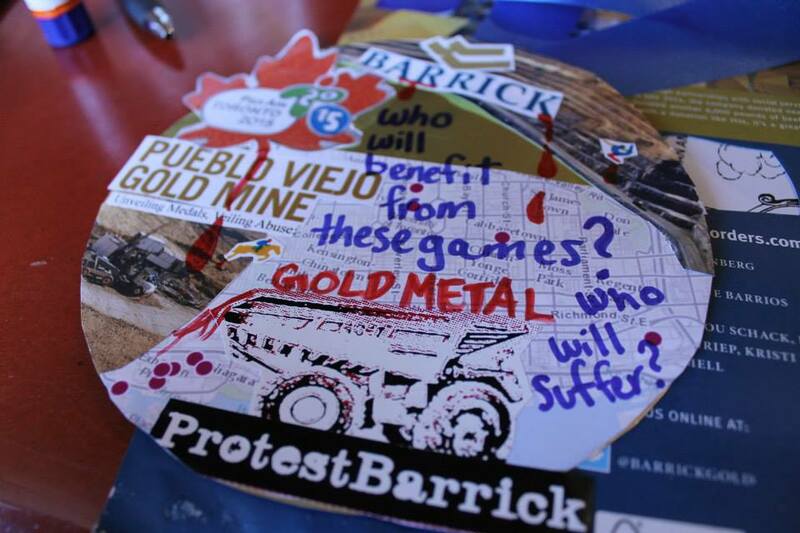 Click here for a statement about why the Mining Injustice Solidarity Network understands resisting the Pan Am Games as part of a struggle for mining justice.